Moving through the 7/7/1+6=7 Gateway | Ascension 360º - Navigating the New World Energies! Take Heart and keep holding the Light! We have entered into yet another portal of higher Light – as we have just moved through the 7/7/1+6=7 Gateway. It may not occur this way with what is going on ‘out there’ – meaning in the world around us. It appears there is more violence and hate out there, more reactivity and intolerance out there. This is merely a reflection of what is being integrated and brought to Wholeness – or the old world way of saying healed – within each and every one of us. This is actually necessary now – the awakening is accelerating. No, it is not a pleasant or easy time. It feels and occurs as difficult and even terrible. This is the ongoing breakdown not just to breaking through to something – but more importantly to a breaking open – the breaking open of our individual and collective Hearts. The community/common-Unity that these events create only draws us closer, creates more Love, amplifies the Light – yes, in the face of what appears as darkness or even ‘evil’ acts to many. These are incredible times. We are being not just stretched but pushed outside of old ways of thinking, believing, acting, treating one another, mis-creating, mis-perceiving so that we will no longer accept or tolerate any shred of the ways of being or living that do not support or align with a truly new Humanity – one that embraces instead of rejects, one that engages instead of avoids, one that cooperates instead of dictates and one that guides from Heart Wisdom instead of forces with Fear. As we move through ever increasing intensity, feel your feelings – whatever they may be – hurt, anger, frustration, sadness, despair, grief, even rage – but do not get stuck there so as to block the space for patience, understanding, higher consciousness and Love to have room to enter you and take residence. And when you can, hold the Light if you can. Be the Light that you Are. See the Light that we are digging through this darkness to reveal. And, if you simply cannot right now, allow me and those who can today, to assist you and hold you in Love until you can. Because one day I may need or ask it of you in return. Stay strong and be of High Heart, my Fellow ‘Soul’Journers and know that we are on the path – walking together. It is a steep path right now. So rest when you are weary. Take a break when it becomes too much. Lean on others when you are overwhelmed – but never give up in the Knowing that our journey is deeply purpose-full and your presence, quality of energy and participation inestimable. 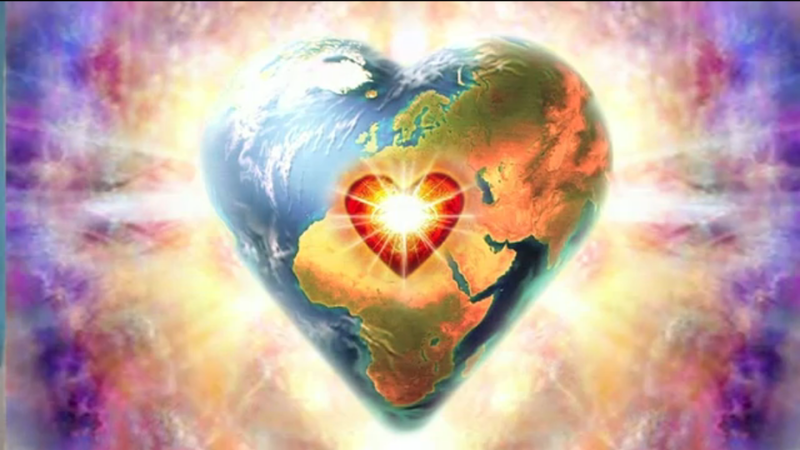 Blessings in Heart Fire § Flow!